This cute piece is perfect for a friend that is hard to buy for (or treat yourself). Got another phrase you prefer? Let us know! 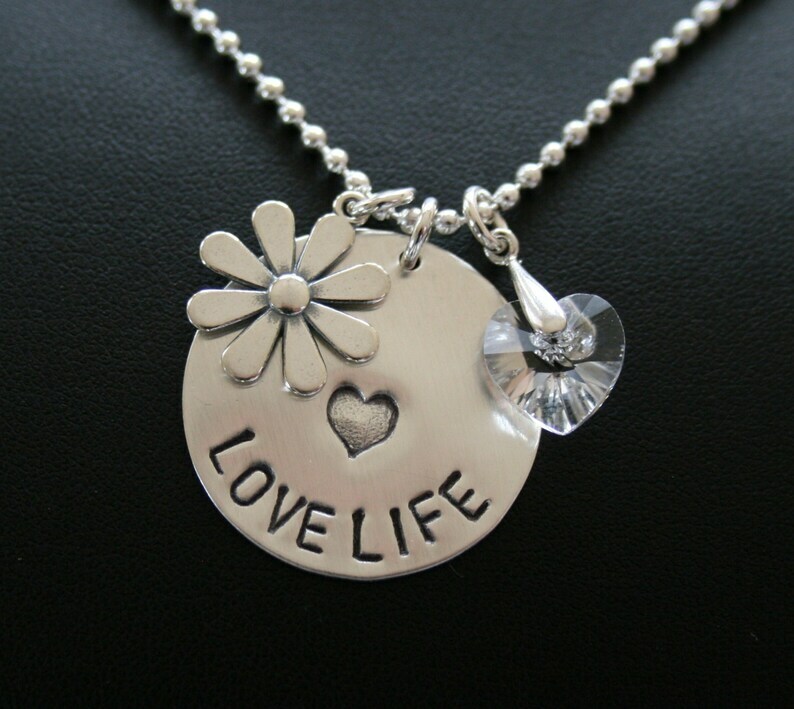 The disc, flower and crystal hang on an 18" sterling silver chain of your choice. This listing is for one round disc, flower charm and a clear Swarovski crystal heart..